US$20 for a 20,000-prim region with up to 50 simultaneous visitors, free upgrade to larger region sizes, on the magic-themed Spellscape grid. First six months are half off. Additional prims are $10 per 10,000 prims, and additional visitors are $5 per 25 avatars. Free mainland parcels also available for both commercial and residential use. 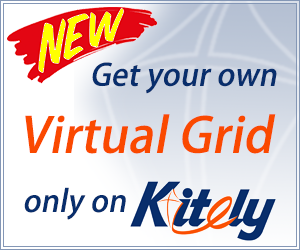 Grid has its own currency, the Vivox voice system, free uploads, and variable-sized regions. Grid is hypergrid-enabled, with filtering in place to protect content creators. Visit the land sales page here.